The Zenna Home Over-the-Door Hook creates convenient hanging storage for towels, robes and clothes in any bathroom. The hook fits over most standard interior doors, with no drilling into the door required. The four large "butterfly-style" hooks on each unit flare out to provide maximum hanging storage. Sometimes the best place to store your things is hanging on the wall or from the ceiling. If you have heavier items that are always getting under foot, such as garden tools, sports equipment, folding lawn furniture and more, this assortment of solid steel storage hooks can be mounted to a wooden beam or wall joist to hold your stuff securely. Installation is easy and no tools are needed. Metal Over the Door Hooks in Satin Chrome The Zenna Home Over-the-Door Hook creates convenient hanging storage for towels, robes and clothes in any bathroom. The hook fits over most standard interior doors, with no drilling into the door required. 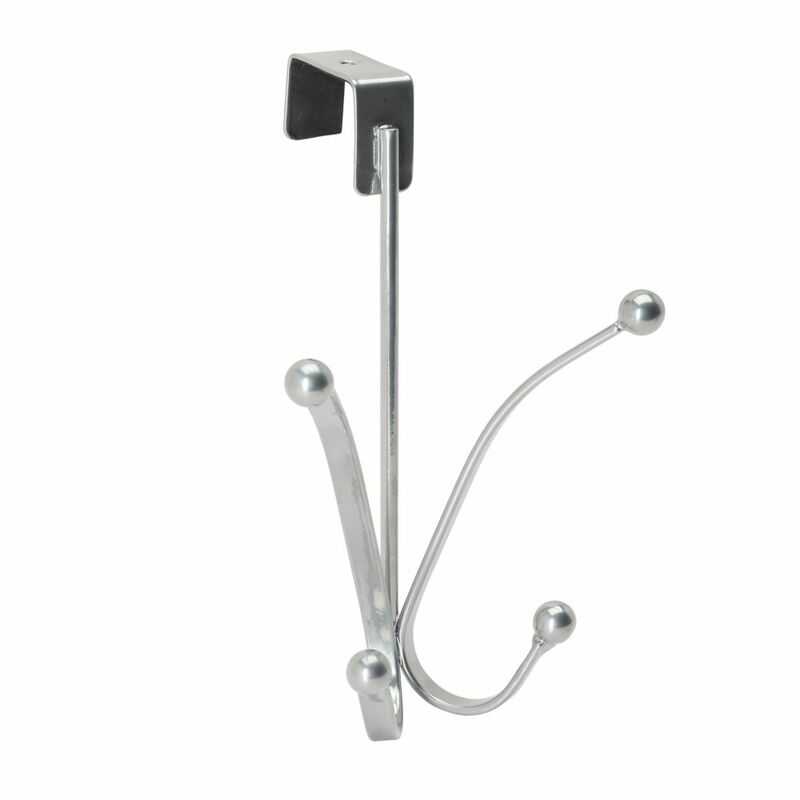 The four large "butterfly-style" hooks on each unit flare out to provide maximum hanging storage.